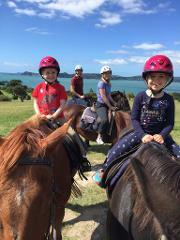 Soak up the amazing scenery of the Bay of Islands on horseback. This trek is great for beginners, nervous riders or families with younger children - we’ll embark on a nice and easy ride at a steady pace up to a panoramic viewpoint. 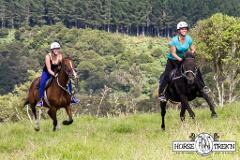 Join us for a once in a lifetime experience - the chance to swim on horseback in the Bay of Islands. We'll ride to a panoramic viewpoint then take the horses for a swim. This ride has limited availability so be sure to book in advance.